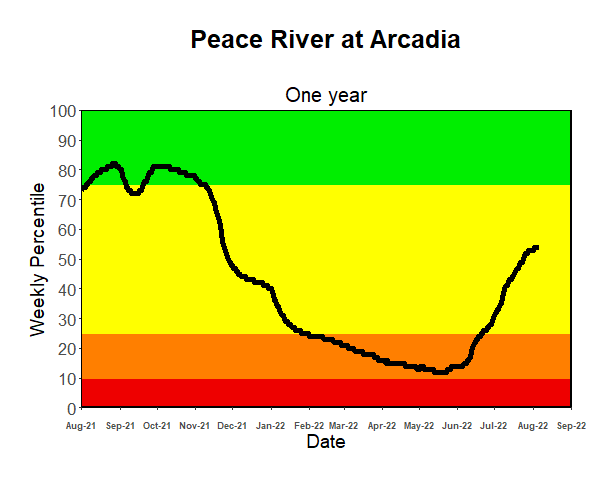 This page compares rainfall for the one, two and three years, and river flow over the last year and last 10 years, to normal levels. 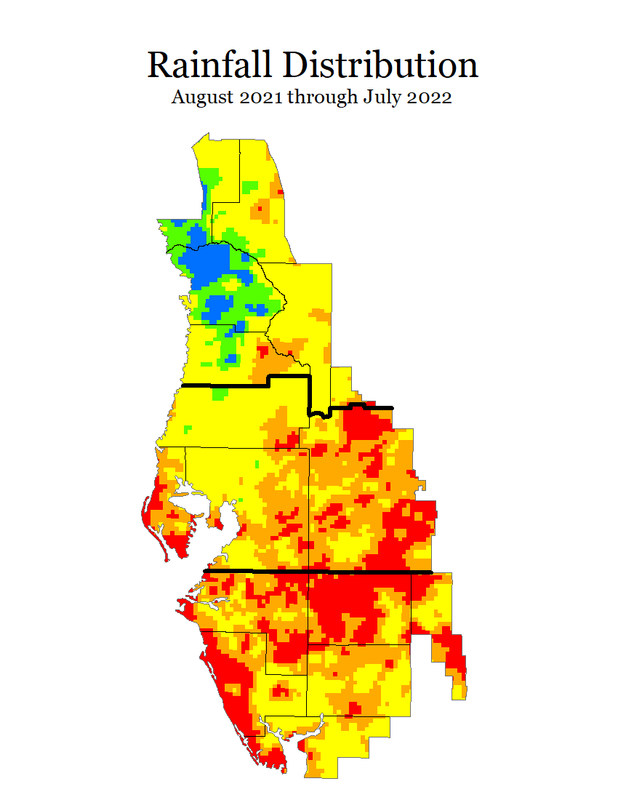 Rainfall maps are updated monthly; river flows are updated weekly. 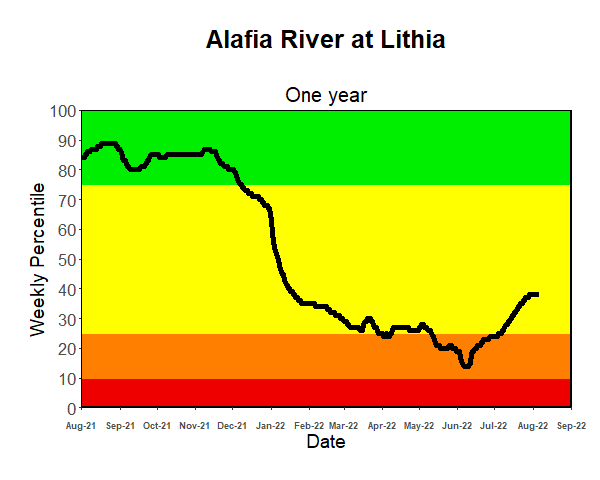 River flow plots updated every Monday. 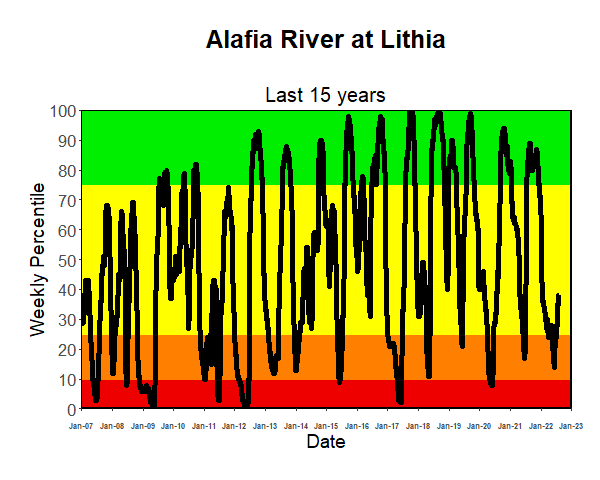 River flows naturally fluctuate seasonally, with the highest flows normally seen during and immediately after the rainy season (June–September), and the lowest flows at the end of the dry season (October–May). 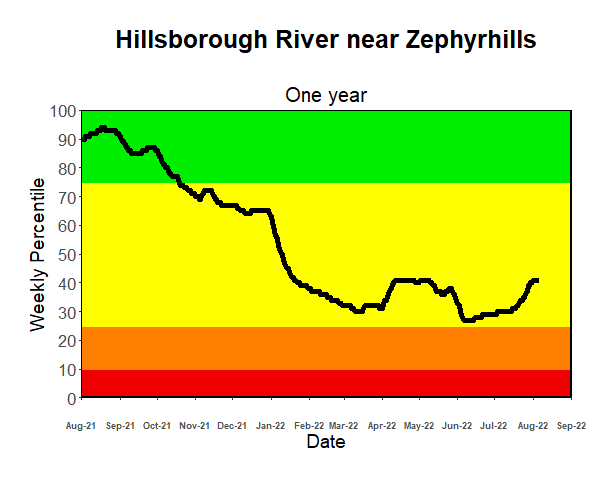 To gage the health of the river, it’s important to compare the flows to the historic averages for that time of year. 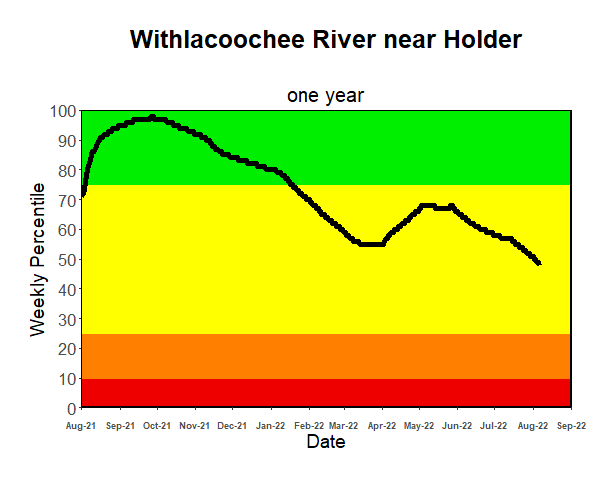 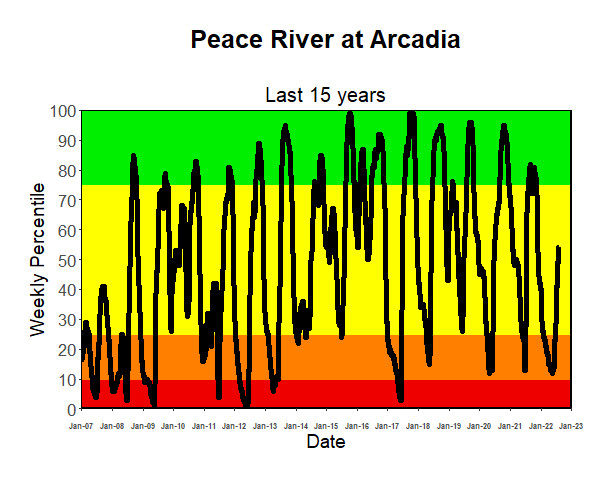 The plots below show flows for four rivers over one-year and 15-yeartime periods. 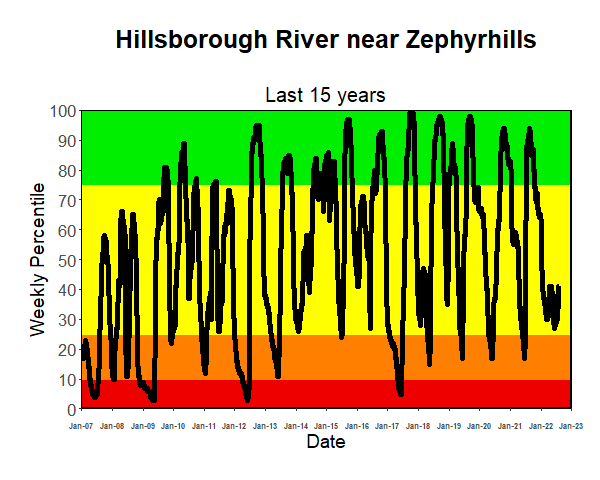 Readings are placed in four categories: above normal, normal, below normal and extremely low. 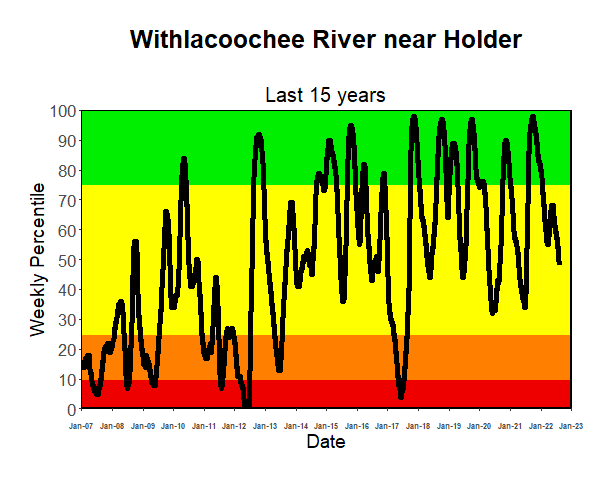 Plots show how actual river fluctuations over those time periods compare to normal flows based on historic averages. 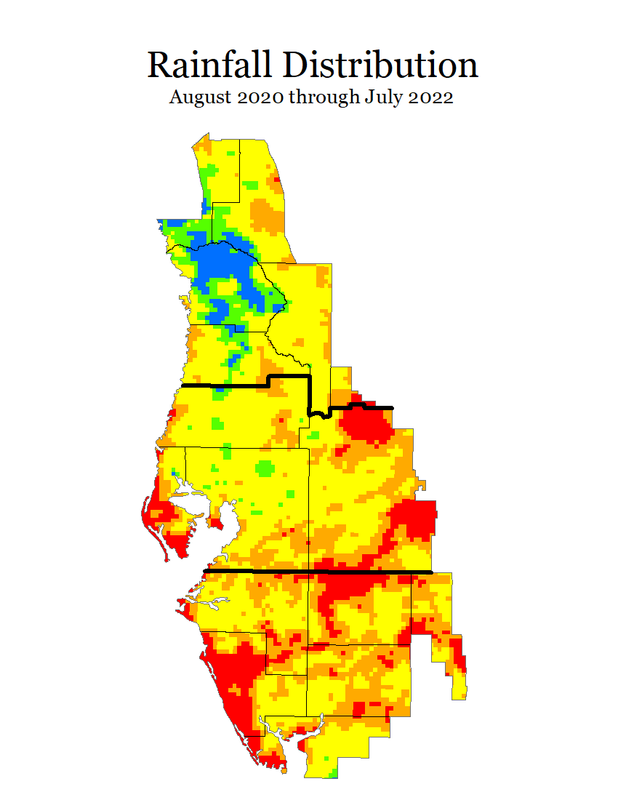 Data shown in the graphics are collected by the United States Geological Survey with funding provided by the Southwest Florida Water Management District. 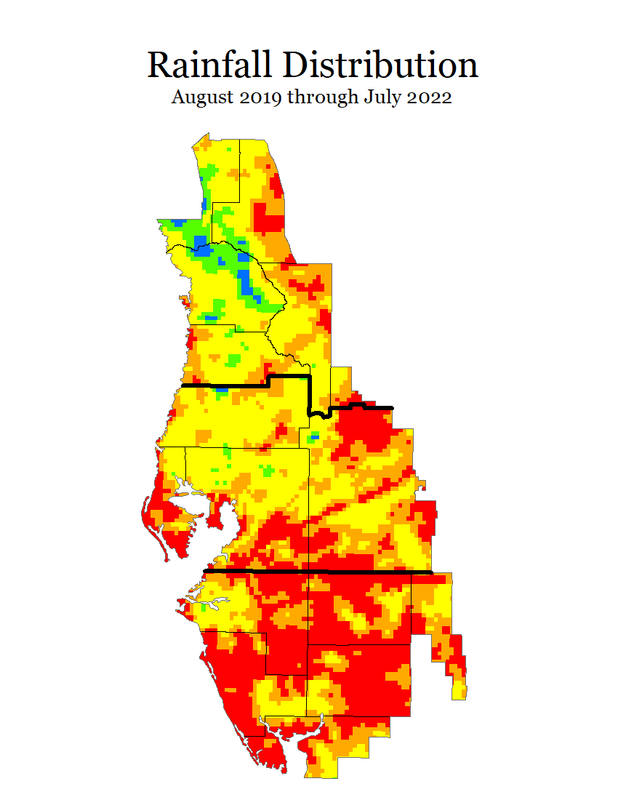 Rainfall data by Vieux, Inc.